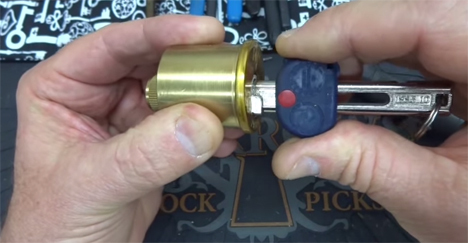 This may be the world’s only truly un-pickable lock. With its bizarre configuration and creative mechanism, it might be as close as anyone has ever come to completely foiling would-be lockpicks. 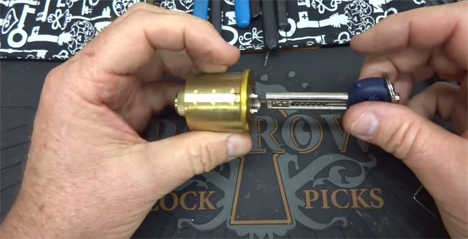 Youtube user Bosnianbill, one of the internet’s best-known lock-picking experts, published a video in which he plays with the extremely rare lock. Unlike traditional locks, this one works only with a special flexible key that can snake its way through the serpentine barrell. Anyone trying to pick the lock would be defeated immediately after the first pin. After that, the keyway curves sharply one way and then the other, meaning that traditional lock-picking tools would be completely useless. 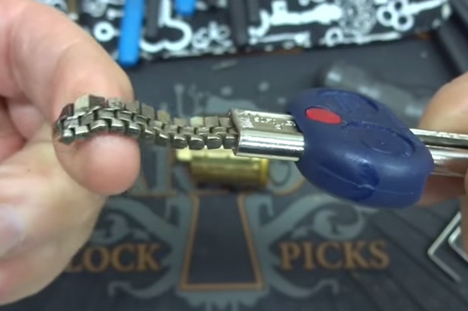 The key that fits the lock is unlike any other key. The ridges that unlock the pins are all located on a flexible piece of metal encased in a rigid housing. To use the lock, you have to push the flexible metal out of the housing and into the lock where it can wind its way around those curves and interact with the pins. 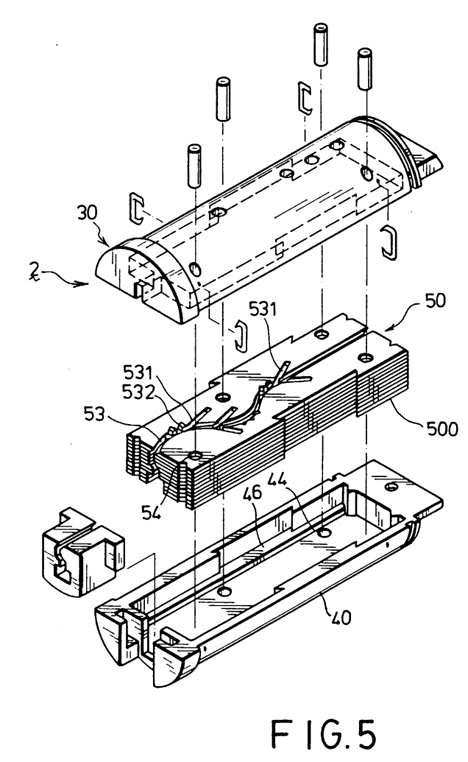 Although Bosnianbill isn’t quite sure of the origin of the lock, io9 found several patents (here, here and here) for the device, all showing some impressive pictures of the lock’s unique mechanism. In the patent drawings, the lock even features false keyways inside to further deter picking efforts – a seriously ingenious touch to an already amazing invention. See more in Industrial Design or under Technology. November, 2014.